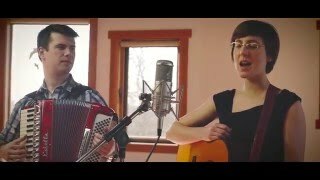 Bursting on to the Canadian music scene in the fall of 2014 with the release of a music video for their first single, ‘Hey, Allison’, Vancouver’s Echo Nebraska quickly gained a reputation of combining soul strung acoustic songs and subtle shades of Americana. Within a week of launching the band, CBC Music added the video to their list of Best New Music Videos for November 2014. Send the Ships has charted highly on numerous campus stations across Canada, reaching a high of #3 on CJSF. 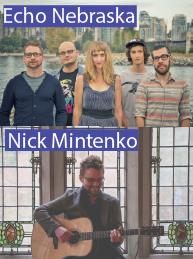 In March 2017 Nick released his first solo album "What I Thought I Knew". In affiliation with a charity that Nick supports, I Challenge Diabetes, The album received positive reviews from Grayowl Point and Ride The Tempo. The title track garnered the honors of being the #5 song of the week for the second week of January 2017 on Ride The Tempo's charts.